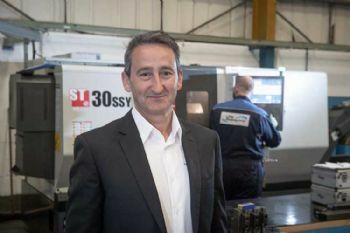 Aberdeenshire-based LFH Engineering, which specialises in the design and manufacture of diesel-engine coolant pumps (and operates a pump repair and refurbishment service), has achieved sales of £3 million for its 2017/18 financial year — an increase of 8% on the previous year (www.lfhengineering.com). Around 75% of the company’s business comes from overseas markets — in Europe, North America and Asia — including the ship repair and shipbuilding markets, the nuclear-energy sector and the rail industry. CEO Les Hill said: “We’re very pleased to see another significant increase in our sales figures. “This is the result of the work we’ve been doing with existing and new customers from around the world over the last 12 months. “The Asian markets are very strong, and we’ve fulfilled several orders from clients in the Far East, where we are making new contacts and developing business leads. “The strategic decision to attend a number of international shows and exhibitions has also been a huge success, listening to what customers want. Mr Hill added: “We take a lot of pride in our Ellon headquarters, and we have invested in a programme of continual improvement to develop a showpiece facility that operates to the highest engineering and safety standards.